Every POOP has a beginning! 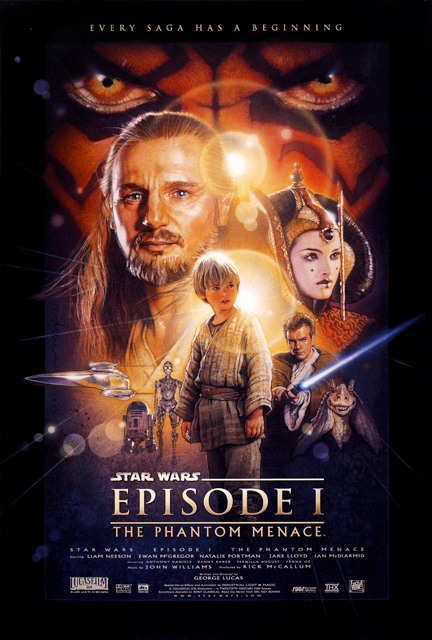 Tune in this week as the Poops dive into George Lucas's 1999 film STAR WARS EPISODE I: THE PHANTOM MENACE for #ShittyStarWarsMonth! This week's movie was Jessica's pick. Join Dustin and Jessica as they go a second round on their debate about whether Star Wars is sci-fi or fantasy, talk THE FORCE AWAKENS, and generally do all they can to avoid talking about this "sopoforic" movie! Stick around after today's show for a few words from this week's Poo Pal, the As You Watch Podcast!